Our recent Lake District break culminated in a visit to the wondeful arts and crafts house, Blackwell, on the eastern shores of Windermere. We had been here about 20 years ago, and had a memory of it as a fabulous example of the work of Scottish architect H.M. Baillee Scott..but I wasn’t prepared to be bowled over. It was built 1898–1900, as a holiday home for Sir Edward Holt, a wealthy Manchester brewer. It is situated near the town of Bowness with views looking over Lake Windermere and across to the Coniston Fells. Definitely the epitome of all that’s good about arts and crafts style, though perhaps more could be made of the outside? The house is run by the Lakeland Arts Trust, who also provide a very good cafe on site. On a recent trip to see our friends Dave and Jen in Sussex we stopped off to visit Standen House and Gardens, near to East Grinstead. This ‘Arts and Crafts’ family home has a lovely range of interiors, dressed for a weekend stay in 1925, so you can imagine you are a guest of the Beale family. There is excellent attention to detail in the furnishing of the rooms. James and Margaret Beale chose an idyllic location with views across the Sussex countryside for their rural retreat. Designed by Philip Webb, the house is one of the finest examples of Arts and Crafts workmanship, with Morris & Co. interiors creating a warm and welcoming atmosphere. After a stimulating tour of the house we enjoyed a light lunch before venturing out into the gardens. A major restoration of the 5-hectare (12-acre) hillside garden showcases year-round seasonal highlights and an award-winning plant collection. On our visit the autumnal colours of the many Acers was a highlight. On the wider estate, footpaths lead out into the woodlands, Ashdown Forest and wider High Weald Area of Outstanding Natural Beauty. 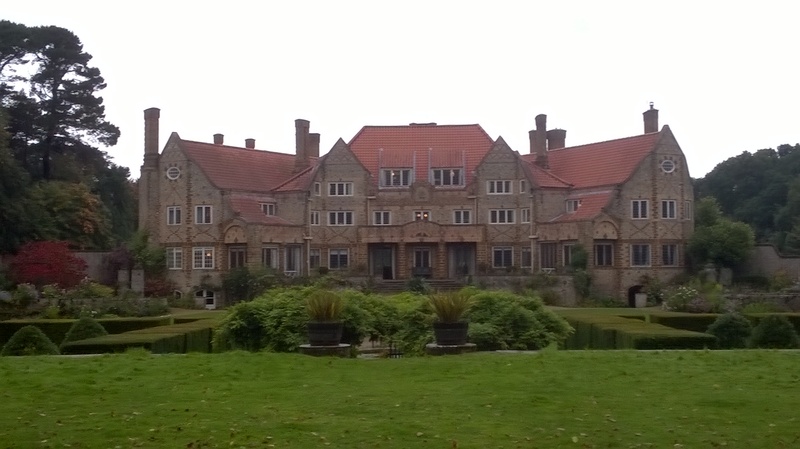 I finally got round to visiting a place I’d wanted to see for some time- Voewood, an arts and crafts masterpiece in north Norfolk. Taking advantage of the ‘Invitation to View’ scheme we set off on a rather wet and windy day a week or two ago to High Kelling, near Holt. Our tour of this private house was full of surprises and curiosities. Owned by a rare books and art dealer Simon Finch (who now lives in one of the coach houses) it has been decorated over the years in a very individual style with plenty of personal mementoes and artworks, many hailing from the 1960’s and 70’s. The house with its fourteen bedrooms can be hired out and it also acts as a centre piece for an arts festival. The house was designed (1903-5) by Edward S. Prior. Voewood is perhaps one of the greatest achievements of house design of the Arts and Crafts movement. More than almost any other building of the period the house fulfils the ideals for architecture developed by William Ruskin and William Morris. In the designing and building of Voewood many of Prior’s philosophical ideas found physical expression. Its design and construction were characterised by the use of radical planning and forms, innovative technologies, such as the use of reinforced concrete, extensive external decoration, a distinct building philosophy involving craftsmanship and the use of quality local materials and the integration of the building and its interiors with the garden and its surroundings. The house is based on a butterfly plan. The three storey central portion of the house is flanked by splayed two-storey wings. The plan enabled Prior to maximise views out and to give the best orientation to a range of rooms. He could also relate the external spaces to the internal areas. The area contained within the splay faced the gardens, with the northern of the wings acting as the entrance, with a two storey porch and daylight basement. This wing also contained the library and billiard room at ground floor level. The wing opposite contained the kitchen and service accommodation together with the dining room. The fruit and vegetable garden lay adjacent. The entrance, through oak doors, leads into a six-sided hall up a straight flight of Hoptonwood stone stairs into an octagonal lobby. Though never lived in by its original owners (there seem to be various theories as to why, including its proximity to a then T.B. hospital), the house was turned into an old people’s home and has also been a hotel. And despite some alterations (e.g. the closing in of two flanking loggias), it has retained most of its original features. I was especially impressed by the construction which used concrete formwork on a (then) extensive scale, resulting in nicely rounded corners to walls and window openings and some chunky concrete beams which provide an interesting, simple decorative feature to many ceilings. However, I was a little disappointed with the window and other ironmongery which, in contrast to many other houses of this style and period (see, for example my recent post on Goddards, York), was rather plain. Perhaps this is further evidence of the alterations carried out in the 1930’s. Though visiting on a damp October afternoon when there was not much floral interest to be seen, the gardens still managed to impress. The main layout from the back of the house appears to follow its original stepped, symmetrical design, whereas the former kitchen garden to the side has been skillfully turned over to a rather more ornamental layout, though retaining many good examples of wall-trained fruit. The original gardens were of great renown and highly regarded. Voewood was perhaps Prior’s greatest garden design. Garden making was a preoccupation of his middle period. Terraces extend from the wings of the house and end in steps leading down to the garden level. The garden is also reached from the terrace by a double flight of steps leading to two stone paths, separated by a water feature in the form of a stepped stone tank containing water-lilies, iris and forget-me-not. The central feature of the garden is a large basin. Pergolas with masonry walls lead east and west. “The stepped scheme at Home Place, Holt, designed by Professor E.S. Prior will be a counsel of perfection to most people”. So, we were on our way home from Northumberland and stopped off for a lunchtime visit to Goddards, a National Trust property on the outskirts of York. 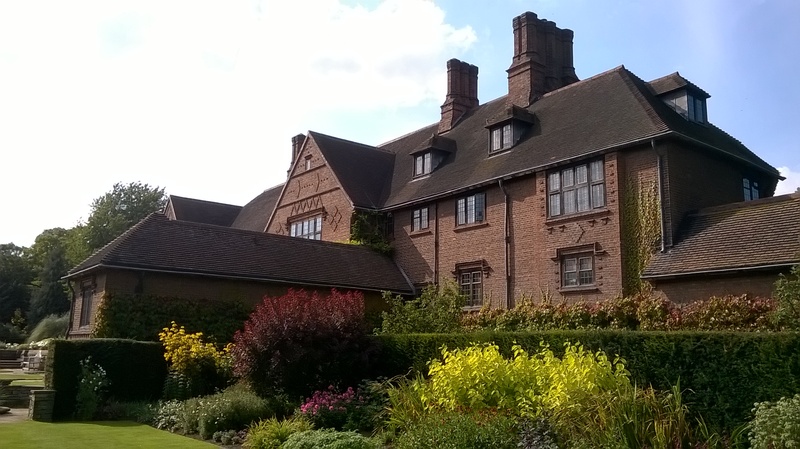 This one time home of Noel Goddard Terry, owner of the famous chocolate-making firm Terry’s of York was designed by architect Walter Brierley in the Arts and Crafts style and is complemented by four acres of gardens, designed by George Dillistone. The house has selected rooms displayed to give glimpses into the family home and workings of a chocolate factory. You’ve probably heard of (if not eaten) a Terry’s Chocolate Orange (traditional for a British Christmas! ), but did you know there was also once a Chocolate Apple?! The garden includes yew-hedged garden rooms, a bowling green, wilderness gardens and plants for every season; it is also an oasis for wildlife. On our visit we met an enthusiastic Garden Volunteer, whose role was to engage visitors among other things. The gardens were delightful, and obviously a lot of work is going into bringing them back to their Arts and Crafts roots. I particularly loved the classic terrace overlooking the garden, with its wicker chairs ready for a Sunday afternoon doze in the sun. Oh, and we had a lovely lunch in a traditonal style restaurant in the house too. After leaving Emmetts Garden on our way home from Sussex last week, we also stopped off to see a place that I’ve wanted to visit for a long time- Red House, in Bexleyheath, London. The house and garden designed by Philip Webb with fellow Arts and Crafts man William Morris, is a wonderful monument to all that exuberant artistic endeavour of the mid and later 19th centuries.We had a stimulating guided tour of this lovely house and garden that has been a major influence on English architecture and garden design. Part reaction to the impact of industrialisation, part a response to its social consequences, William Morris and the movement- which had close ties to the Pre Raphaelite Brotherhood and early socialist thinkers- have perhaps become most closely associated with floral prints in wallpaper and fabric. I hold my hands up- we are definite fans and have some Morris designs in the Old School. But the garden sets off this fabulous building very neatly and today also boasts a kitchen garden. The original design was as unique as the house, with Morris insisting on integration of the design of both. The garden was divided into four, small square gardens by trellises on which roses grew. 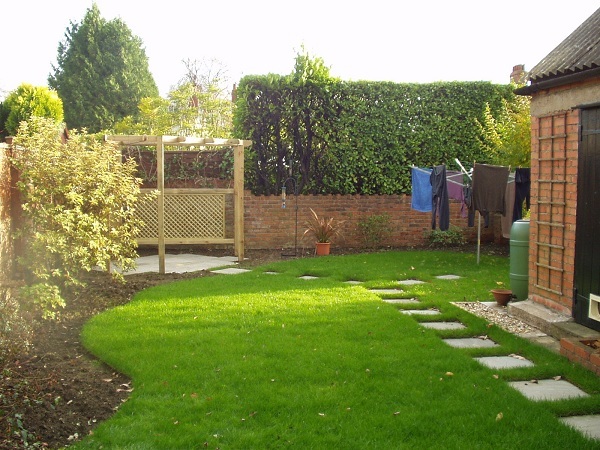 The flower beds were bordered with lavender and rosemary while lilies and sunflowers had also been planted in the garden. White jasmine, roses, honeysuckle and passion flower were planted to climb up the walls of the house. “Throughout the garden you will see many rare and unusual plants growing…. Our garden lies 1½ miles from the North Sea in an exposed prairie landscape containing large arable fields. Many of the wildlife habitats have long been swept away and we have endeavoured throughout the garden to replace these by the planting of mixed hedgerows, banks, wildflower areas and ponds.